It would be unfair not to start from the beginning, so there I go. Steve Huxley (Liverpool 1950 – Barcelona 2015) is considered for many as the father of the Catalan beer scene. An English teacher during the 1980s, he opened the first brewpub in Barcelona in 1994 – Barcelona Brewing Company –, and after its closing for administrative reasons he made a living out of teaching homebrewing to some enthusiasts, some of which became the first generation of local microbrewers from 2005. Apart from his charisma and ability to make people enthusiastic about beer, one of the great things that good old Steve left for us is the book that he wrote between 2003 and 2005 while on a personal leave in his native Merseyside. 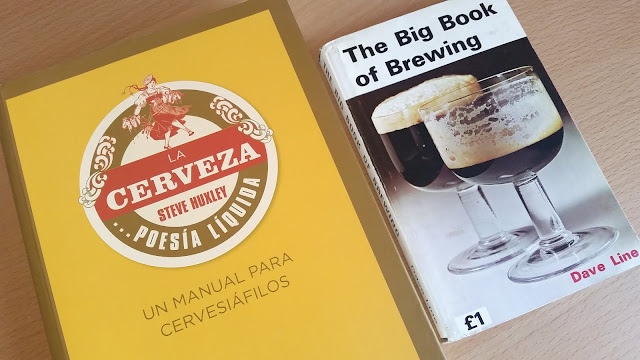 La Cerveza... Poesía Líquida is an easy-to-read, didactically approached book on how to brew beer. The importance of this book has been huge, and still is. Written in a very personal and casual fashion, not only is it a great introductory book for the novice homebrewer, but it is also a good reference for more advanced brewers: some professionals claim that they still check it from time to time. But apart from being well-written and informative, probably the most decisive factor to make it a relevant publication for the whole Iberian brewing community was the fact that it was written in Spanish, and by a local guy -yes, he was already one of us, we are a welcoming country!-. So after teaching homebrewing to that first group of enthusiast, who by the date of publication of the book -2006- were already starting their microbrewing businesses, his book inspired a new generation of readers who learnt to appreciate beer and its craft. 10 years later, some of them have also joined the industry as professional brewers. But how did Steve learn to brew in his youth? Trial and error, during his first years in college, as homebrewing was illegal without a license in the UK until 1963, and he could not find any written reference to check. But after that some publications started to appear, and word came that there was this new book about how to make beer at home without spending too much on equipment. Dave Line’s Big Book of Brewing -which, with yet another exhibition of humour by his author, is rather small- became a reference for a generation of Britons who took up home brewing as a hobby. Later on, prior to opening his brewpub, Steve perfected his brewing skills with the teachings of Alastair Hook, who would in 2000 found Meantime Brewery. But this is another story. The thing is that the seed had already been planted. Books, and people, do make a difference. 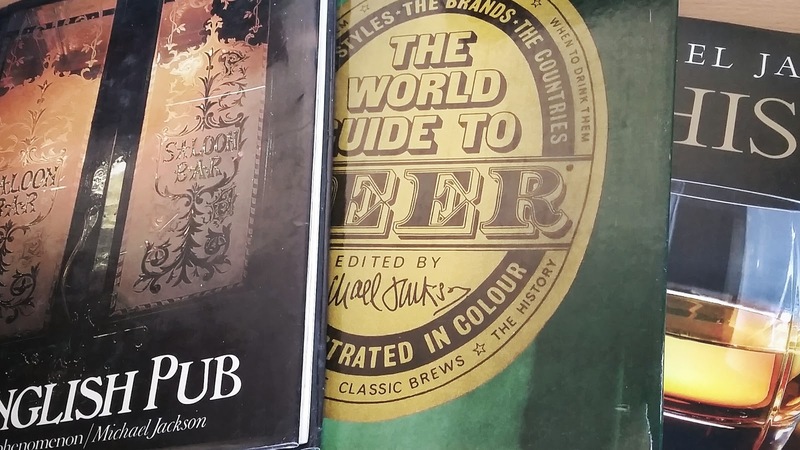 The two works mentioned above have -even if only indirectly- contributed greatly to the development of the beer scene that I presently inhabit. No doubt, in my humble opinion. But what about those books that have had a direct, personal influence on me? 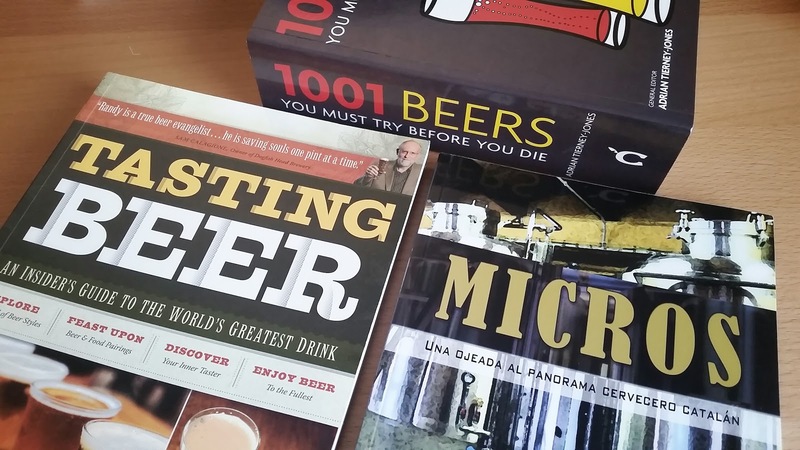 Among the first books I purchased, once my inner beer geek had woken up, I can point to three of them. Randy Mosher’s Tasting Beer was a great way for me to sort out all the things I had heard and read about beer before, plus getting a more profound general understanding of beer as a beverage and learning what to look for when tasting different beers. The perfect companion for that book was Adrian Tierney-Jones’ 1001 beers to try before you die, that allowed me to learn more about those brewing companies and beers that, more and more, one could begin to find in the first local beer-focused bars and shops that were slowly appearing. 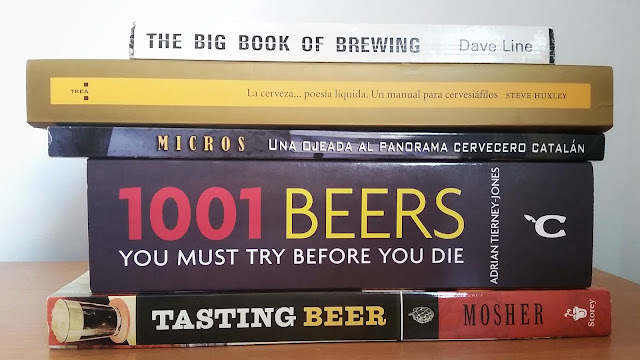 The third in line is Andres Masero’s Micros -2010-, a self-published book by a former beer blogger in which the author briefly describes the -very- beginnings of our local beer scene and its principal actors: the microbrewers. Written by one of the beer writers I was following more actively at the moment, this book was of great importance to me, as it helped me tie up loose ends with the names and origin of the people brewing those still hard-to-find, locally nano brewed beers I had discovered not even 2 years before. Later on, I have had the pleasure to read many other beer books: from very technical stuff on ingredients, styles and the brewing process to lots of history books. Among them, I can find some of my favourite reads; those that I recommend whenever I can. Before I call it a post, if my intention was to be fair mentioning Steve Huxley, I should also mention somebody else. Steve was a great influence for my local beer scene, but Michael Jackson’s work has definitely shaped the global beer scene as we know it today. With his work and many publications, he aimed to defend beer as a top gastronomic product, with the same status as many other drinks. The result is that his research, dissemination and values have inspired a huge amount people: just look at how many people are writing about beer today. Or beer-hunting! Three days after the 9th anniversary of his death, I toast to the great work that Michael did for this great beverage that helps make our lives happier. And a toast to all of us, who write and keep spreading the word about beer!